The Prince Albert OptiMart 2018 July 31 to Aug. 4, 2 p.m. - 10 p.m. 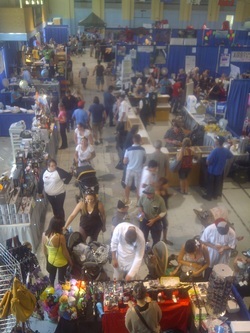 The Prince Albert Summer Fair hosts some 40-50,000 patrons during it's schedule. These patrons visit our OptiMart to peruse the event for goods, services, specialty items, information and more. Don't miss your chance to become part of this fantastic experience.